23,871 Southern California homes sold in June, a slight upward trend from prior months and parallel to 23,262 sold in June 2009. 30% of June 2010 home sales for So Cal were high-tier properties—up from 21.6% in May and 19.6% a year ago. 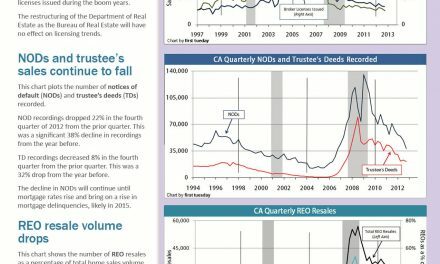 Real estate owned (REO) resales made up 33% of the resale market in June, down from 34% in May and the 57% peak in February 2009. 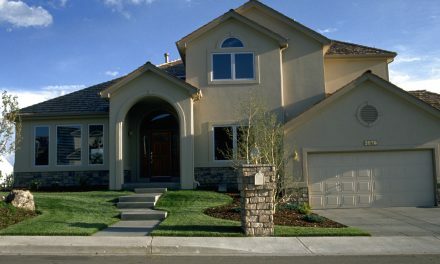 Federal Housing Administration (FHA)-insured home loans make up 39% of purchase-assist financing in June, which is consistent with most months this year, reflecting the high level of sales for low- to mid-tier properties. Jumbo loans (over $417,000) accounted for 17.3% of all purchase-assist loans in June, the same as in May, but less than half the 40% share during the Millennium Boom peak. 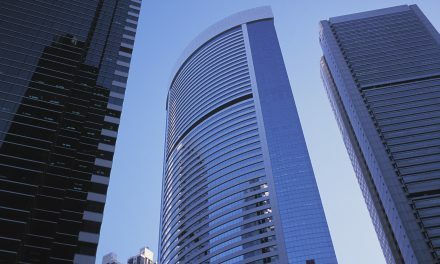 Dataquick believes this is due to the relative scarcity of available ARMs, which increased to 6.6% of all loans in June, up from the 4.4% in January 2010, a mere one-tenth fraction of the70% share at the frenzied peak of the Millennium Boom. Speculator and investor house buying was at 19% sales in June. 24% of all sales appeared to have been paid in all cash, down from the February 2010 peak of 30%, indicating that speculators are leaving the market, probably due to flattening prices. Flipping accounted for 3.4% of total sales—double last year’s level of 1.9%. first tuesday take: As the recovery continues, high-tier property sales will steadily increase in volume and the prices will keep slipping. Minor fluctuations in total sales volume will be caused by intermittent activity in the low- and mid-tier markets favored by investors and first-time homebuyers and fed by FHA-insured loans with lower credit and down payment hurdles. That slight increase in volume is set to change as the FHA is about to increase mortgage insurance premium (MIP) fees and down payment requirements to cut massive losses in their reserves – or the taxpayer will again be subsidizing housing via FHA loans. Low- and mid-tier property sales may slow down in the near future if the FHA succeeds in further tightening their underwriting standards. With tighter FHA standards, homeowners unable to pass the rigorous standards of the private mortgage insurance industry will be forced to resort to the old-fashioned practice of saving up a 20% down payment. The increase in the percentage of ARMs financing home purchases, small but rising steadily, will only lead to increased future defaults on home loans; interest rates today are historically low by any standard – nominal notes rates of 4.75% with real rates of 3% (after inflation), and prices of property are nearly as low as they are going to get, at least in the lowest tier. So why is anyone using an ARM to finance a purchase? Answer: to borrow more money than they are qualified to borrow, then buy a home too expensive for them to own and operate. With salaries static, job competition at its max, short-term interest rates to rise in a couple of years, the ARM borrowers are headed for a collective disaster. But at this point, only the gatekeepers can head off this concern by advising buyers what to do in lieu of an ARM, or later give the deed to the lender.